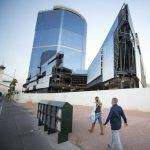 The Drew, a 67-story blue behemoth that has sat unfinished on the Las Vegas Strip for more than a decade, will need at least another three years until the casino resort welcomes its first guests. Real estate developer Steven Witkoff originally hoped to have the Strip casino open in late 2020. He now says the second quarter of 2022 is the target date. Witkoff revealed this week that when finished, The Drew will feature 3,780 guestrooms, more than 550,000 square feet of convention space, and multiple retail, spa, nightlife, pool, and culinary attractions. 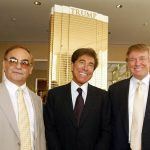 Witkoff and Miami-based investment firm New Valley LLC bought the unfinished building from billionaire Carl Icahn in August 2017 for $600 million. 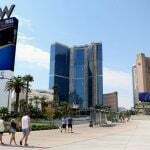 Icahn acquired the property – then known as the Fontainebleau – in bankruptcy in 2010 for around $150 million and mothballed construction. 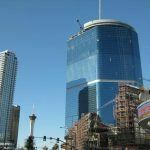 Witkoff’s privately held real estate firm is headquartered in New York City, but this week he spoke with the Las Vegas Review-Journal to express his bullishness on the Sin City hospitality and gaming market. “This was a chance to buy something and build at a huge discount to what it cost to build new,” Witkoff explained of the investment. The Witkoff Group says its total cost to bring The Drew to life is expected to be around $3.1 billion. “The Drew is poised to not only capitalize on this imbalance, but also offer visitors a new marquee luxury resort with a distinctive, compelling concept. This is a once-in-a-lifetime opportunity for our team and our partners,” Witkoff concluded. Billions of dollars are being invested in Las Vegas. The two most notable projects are the $1.8 billion Raiders NFL football stadium under construction just west of I-15 between Hacienda Avenue and Russell Road, and the $935 million expansion of the Las Vegas Convention Center. The future home of the NFL Raiders is fueling investments on the Strip’s southern end, while the convention expansion has developers enthused regarding the northern area. 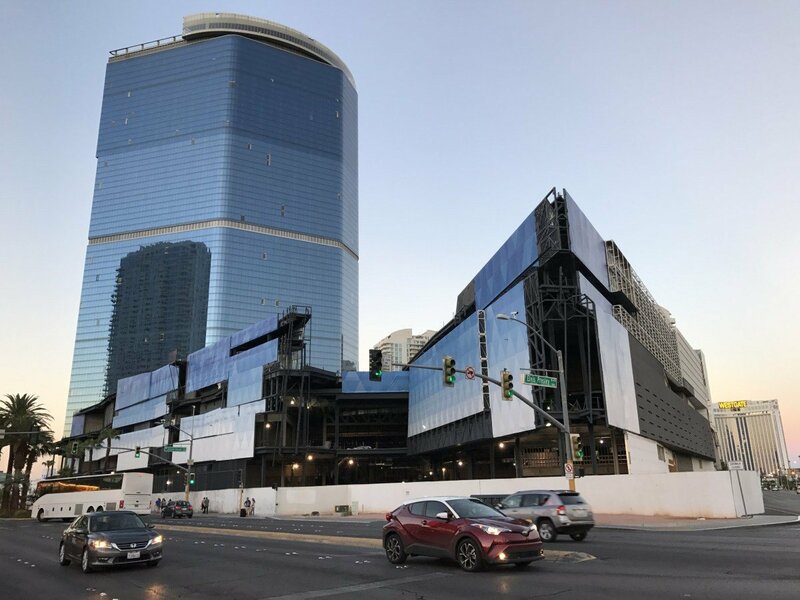 For The Drew, which is situated in an area north of Wynn’s two casinos that’s struggled to attract pedestrian traffic, the convention expansion is critical to moving people to that end of the Strip. The casino will be roughly 2,000 feet from the exhibition complex. Resorts World is also making progress on the $4 billion integrated resort, which is just slightly south across the Strip from The Drew. That too will help keep the region busier than in recent years where nearby properties such as SLS struggled, and the Lucky Dragon shuttered. The Drew is named after Witkoff’s son, who died of an OxyContin overdose in 2011. He was 22 years old.